UPDATE 2016: NV has now finalized it’s “sage grouse plans.” The NAS review has still not generated formal recommendations and the old paradigm of broken management for wild horses moves forward. Please read this article and help us stay in this fight! Do you care about wild horses and burros? Of course you do or you would not be reading our website. How many times have you heard the term “integral to the landscape” being tossed around in social media as a tag line of sorts to justify wild horses on the range. Yet there appears to be a failure to understand the very landscape wild horses are integral too. 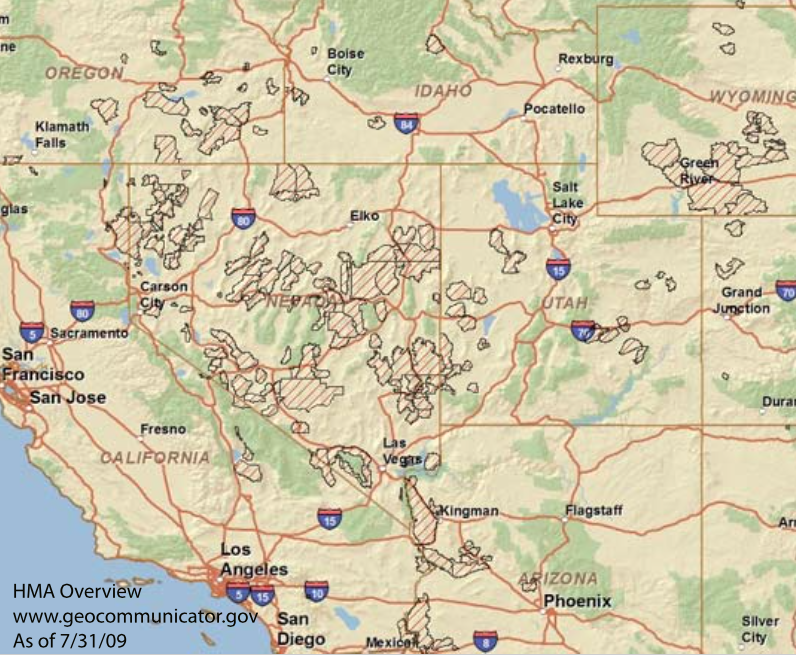 When we are talking “wild horses” we are talking “free roaming” horses and burros on Bureau of Land Management (BLM) and Forest Service (USFS) lands. Horses and burros that live in other jurisdictions like state or National Parks are not given that designation under law. The 1971 Wild Free Roaming Horses and Burros Act created a legal designation for management as “wild” and “”integral to the landscape.” (Please note that the BLM manages more horses and burros on public land than all other jurisdictions combined. The state of Nevada contains more wild horses than all other states combined). In many advocacy organizations we often see conflicting messaging. There is a “message” that wild horses should not be touched and are “wild animals,” yet at the same time they want them fed hay on the range as a “management” practice. This is a bit “crazy making” when you are trying to engage land use planning that creates the frame of management and all you encounter are glazed eyes when you deal with this type of mainstream messaging head on. These conflicts in advocacy are directly related to failed management practices. If wild horses had been managed on the range, as outlined by the law, these conflicts would be minimal. For years and years the only “management tool” were extensive roundups that operated without a humane handling policy. Attempts to create such a policy were met with stonewalling and litigation (that we engaged with vigor). Any attempt to point out failed range data was met with “The advocates mean well but know nothing,” until the National Academy of Sciences (NAS) report confirmed every flaw. Failures to address those flaws (over decades) has lead to wild horses suffering on badly managed rangeland and the public wanting, rightly, starving animals (of any species) to be fed. Matters involving wild horse and burro management are diverse. Holding facilities that have no shade or national infectious disease protocol compete for attention with massive denuding of rangeland by livestock. The version of a welfare policy that was finally incorporated into contracts for roundups has still not been released to public view. Federal policy and protocol is complex and slow to act. What we are noticing is that many do not understand that the “BLM plans” are not a listing of the sage grouse under the Endangered Species Act. The “BLM plans” are an attempt to not list the bird. By September 30th of this year the US Fish and Wildlife Service will review the BLM documents to determine if it contains enough muscle to avoid listing, if it does not, the bird will be listed. As our federal government spent millions to create the FEIS, and is allocating millions and millions toward habitat protections, political maneuvers have been rampant to influence the document itself and where those funds will go. Vast mining interests, that could face a three mile operation buffer if the bird gets listed, have been very active. Livestock interests have increased intimidation tactics to keep a priority seat and have engaged in a massive campaign to utilize “sage grouse funds” to create more “cow chow” on the range. Perhaps the simplest way to show how broad sweeping this will be in practice is to show you some maps. Now that we have pulled out the maps this next map is a vital map for you to be aware of. BEEF USA lauds a $211 million dollar “initiative” in partnership under the sage grouse planning 2,0. The article is worth reading just for the quote in the last paragraph, “The Endangered Species Act is outdated and has proven itself ineffective,” says NCBA President Philip Ellis, who ranches in Wyoming. Many wild horse advocates have not paid much attention to the “Argenta” livestock controversy. This is the area that all of our writing on the “Grass March” centered around. There are no wild horses in Argenta but the process speaks volumes and directly impacts management practices in wild horse HMAs where livestock is present. We can only describe events as a political move to placate livestock interests to move the sage grouse plans forward without litigation from livestock. We also see this as bending to bully tactics and solidifying risks much greater than litigation as we have seen in the multiple threats that come from livestock that would endanger human life. 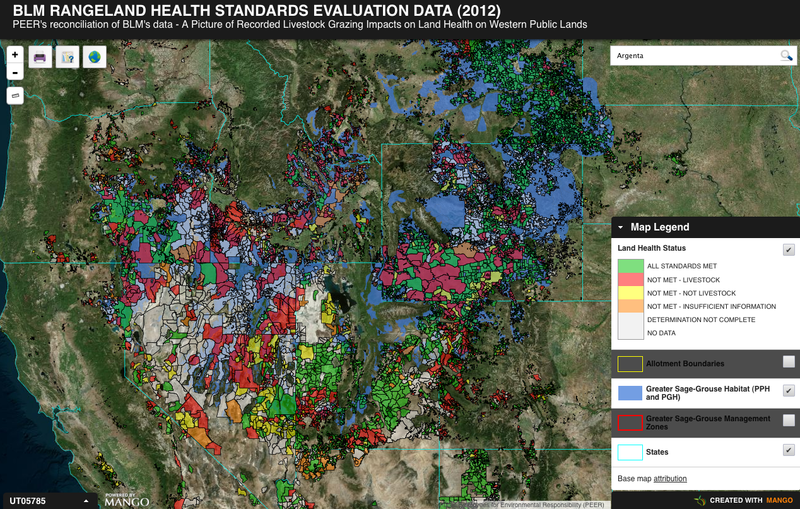 PEER released an interactive map showing where livestock rangeland health standards are tracked. When you look at this map, (and all the other maps), read the FEIS, become aware of all of the politic factions and efforts like the Governor of NV meeting with the President you can begin to comprehend the magnitude of the impossibility of accountability. We stand on the verge of the greatest storm to hit public land management in our western states while wild horses (and wild horse advocates) are seemingly a mere annoying footnote. We view all efforts to placate livestock as ineffective and worthless. Threats are coming to litigate against the document by NV counties. Litigation will cause the bird to be listed. Livestock interests have repeatedly demonstrated that if you “give them an inch they want it all.” What we see is that if the bird is listed or not, there will be a massive increase in tension from livestock, no matter how many rules are set aside. As conversations in public center on the fact that BLM has still not addressed simplistic measures such as shade, pour $11 million into research to surgically and permanently sterilize wild horse populations where they still fail to have any basic data for appropriate management and the range continues to be pounded to dust, we face an arduous task to elevate the conversation. Management, on the range, of wild horses is about to change dramatically. As advocates you must look at those dark clouds on the horizon. You must understand that the “State’s Right” agenda is one where states want control over all resource. They want the ability to sell off federal land, get rid of any “restrictive” federal authority and a resumption of US horse slaughter is a “check box” on their list. No matter how much “flag waving” they do in no way do they recognize a basic premise of that flag, that “public” means all American’s and the wishes of all. YOUR VOTE matters! 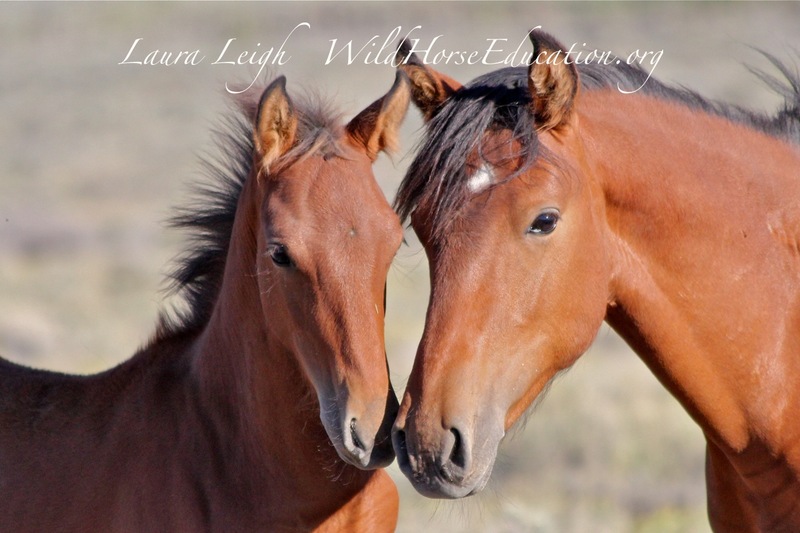 Wild Horse Education remains devoted to gaining protections for wild horses and burros from abuse, slaughter and to gain fair and equitable management.